Lather on the cream when you're ready to bid farewell to your mustache. In the 1970s, thick flamboyant mustaches were often seen as a sign of true masculinity. While many men and women today still think mustaches are groovy, others can't stand the look and still others start in the groovy camp, take that plunge and grow a 'stache only to decide that it's a style best left to another man. Some even believe a mustache makes a man look older -- and unless you're a teenager, that's probably something you'd rather avoid. 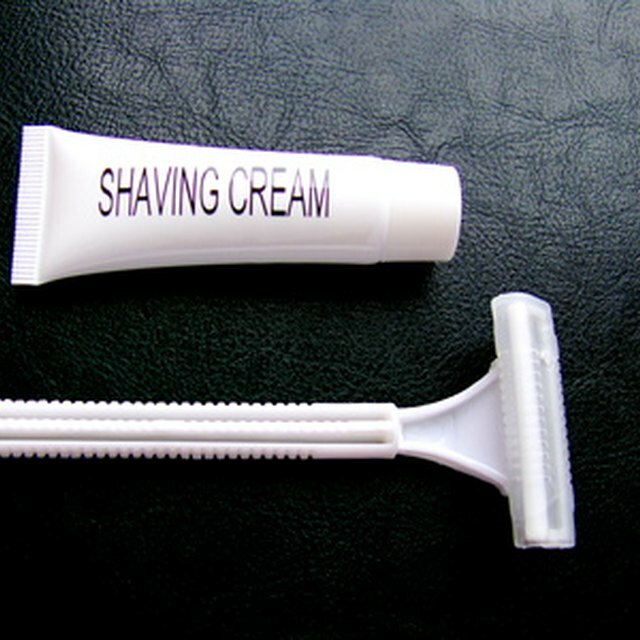 If you're ready to send your lip warmer packing, shave it off properly to avoid an embarrassing case of razor burn. Wash your face with warm water before shaving your mustache. The warm water softens hair, making it easier to shave off. Trim very long mustache hair with an electric clipper or a pair of small scissors. If your mustache hair is short, you don't need to do this. Determine the direction of your hair growth. For most men, mustache hair will grow downward. 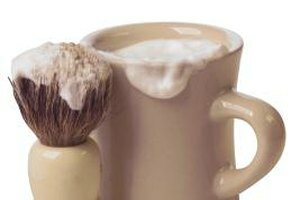 Apply a thick layer of shaving cream to your mustache area, using your hands or a soft shaving brush. Massage the cream into the hair and skin, don't dab the cream on lightly. Wet the blade of a sharp safety razor and position the blade at the top of your mustache if your hair grows downward. Pull the razor down gently to shave. If your hair grows up, shave upward. Continue this until you've shaved off all the hair. Apply more shaving cream and shave the mustache area one more time to eliminate any stubble the razor may have missed on the first pass. Wash away shaving cream and loose hairs on your face with cool water. To close pores and prevent razor burn, splash very cold water on the shaved area. To avoid in-grown hairs and razor burn, always shave in the direction that your hair grows. Do not use a dull blade to shave your face. A dull blade requires more pressure to cut hair, which will make it more likely that you will nick your skin.